This is a no brainer. 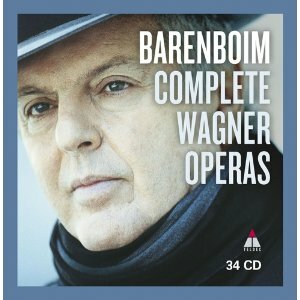 In the Teldec packaging, Barenboim’s complete Wagner operas are available at roughly three dollars per disc. No librettos are included, but at this price, one can easily obtain those elsewhere. 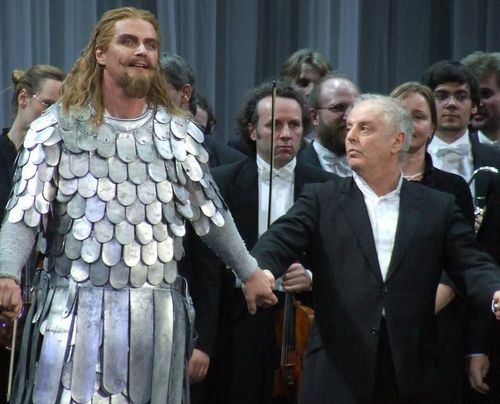 By “general” consensus, Barenboim is the greatest living Wagnerian. 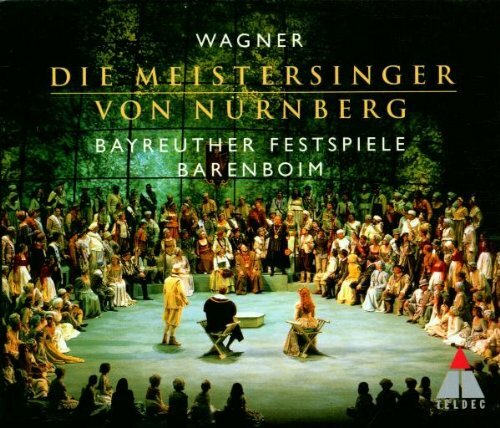 Dull ADD listeners are predictably apt to lazily compare him, unfavorably, to Furtwangler, but Barenboim merely is part of the same German romantic school, one that Klemperer, and others belonged to as well. The entire collection here is in clear sound, an important factor. Luckily, the conducting is as lucid and as animated as the recording quality. This Ring is one of the best modern recordings available. 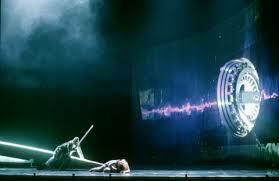 John Tomlinson’s Wotan can join the elite and he gives his own rogue take on it. 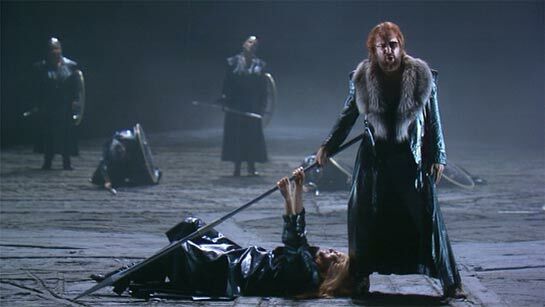 Siegfried Jerusalem is also a characterful standout as Siegfried, Graham Clark is so slimy as Mime that he leaves a trail and Waltraud Meier’s Waltraute is colored in earthy hues. Of course, this is the same Ring that is available on DVD (with Harry Kupfer’s apocalyptic design) and may be the overall best filmed Ring to date. 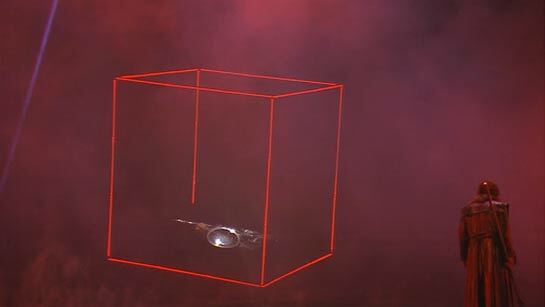 It compares favorably to many audio Rings, especially the stereo sets, such as Solti, Karajan, Bohm, and Boulez. Barenboim’s Ring probably surpasses all but Solti here and may, arguably, surpass the famous Culshaw produced Decca version. The Barenboim Teldec does not rely on an overabundance of effects and so, musically, may be more pure, but one’s preference will be reliant on priorities. 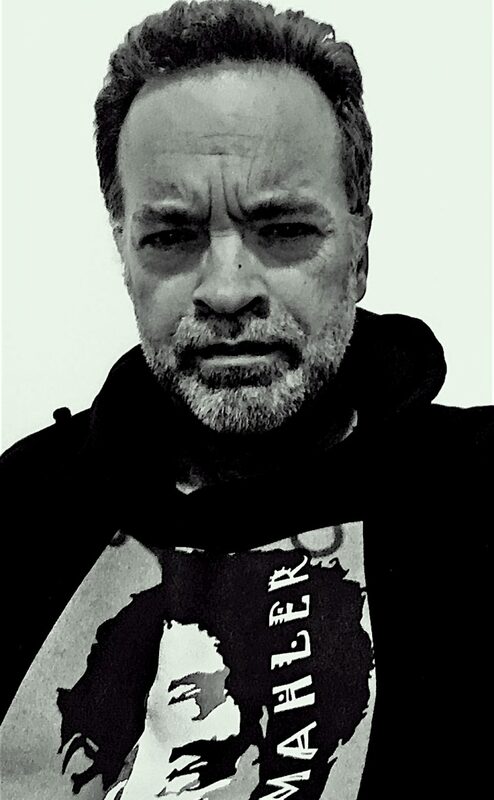 While I might historically rank the Rings from Furtangler, Knappertsbusch, Keilberth, and Krauss on a more elevated plane, sonically those Rings, of course, cannot compete. 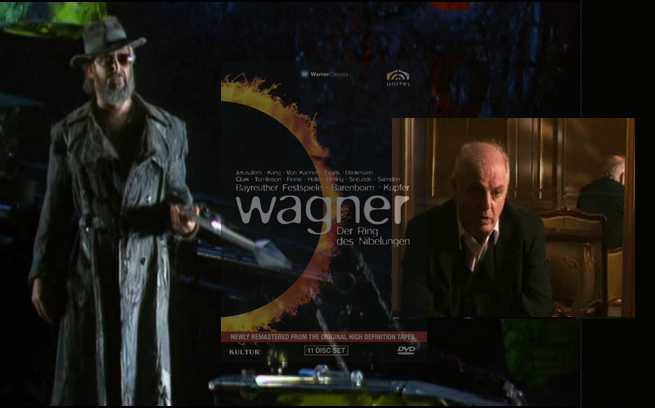 Tristan, Wagner’s greatest opera and the most influential music of the last hundred and fifty years, obviously means much to Barenboim as he has already produced four versions (three on film with the one audio performance on this set). Again, among modern recordings, Barenboim leads the field. This Tristan can rank comfortably with classic versions by Bohm, Furtwangler, and more contemporary traversals by Carlos Kleiber and Leonard Bernstein. Siegfiried Jerusalem and Waltrud Meier breathe their roles. While Barenboim has considerable competition as far as audio recordings, he has conducted the two best Tristans on film (one with Jerusalem and Meier, stage direction-Muller, the second with Ian Storey and Meier, stage direction-Chereau). No matter how many Tristans one may have, there is room for Barenboim’s conceptual addition. 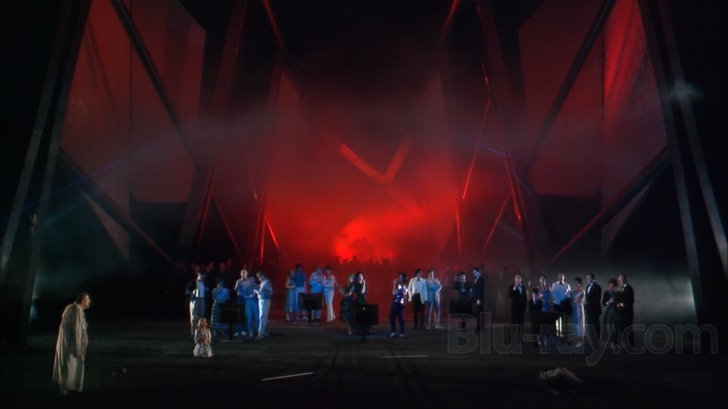 Barenboim’s Parsifal, with Jerusalem and Merier is also among the elite and it is especially valuable as his sole, filmed Parsifal, again with Kupfer has, inexplicably, never been released on DVD, especially since it is not only the best filmed Parsifal to date it is also the only good filmed Parsifal to date. In this opera, Barenboim has less substantial competition. Knappertsbusch, Karajan and (the refreshingly different) Boulez tend to be among the highly favored but Barenboim’s incandescent reading ranks comfortably alongside them. The rest of the operas, one and all, are beautifully conducted and Barenboim has at his disposal some of the best Wagner orchestras and choruses in the world today. Clearly, the musicians respond to a conductor who knows and loves this music. Slightly more problematic is the individual singers. 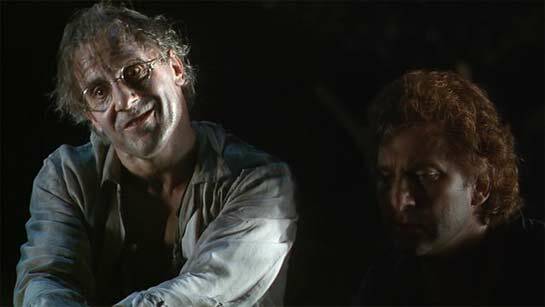 The Flying Dutchman is a robust ride, but one that cannot match Klemperer’s incomparable studio performance on EMI or his live one on the Living Stage label. 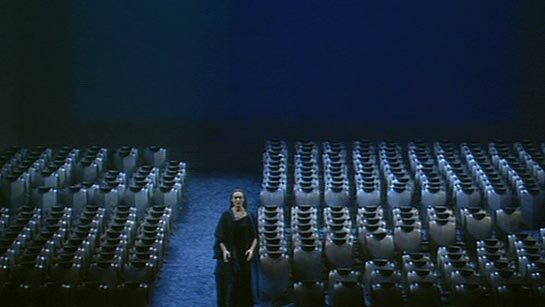 Despite Barenboim’s golden hued conducting this urgent and dramatic performance is marred by Falk Struckmann’s portrayal of the protagonist. Still, it’s a worthwhile Dutchman, one of the highest ranking post-Klemperer. While pronounced weak singing does not mar Barenboim’s Tannhauser, it is also not helped by a cast of undistinguished singers. However, again, Barenboim provides a seasoned conceptual interpretation, which is a rarity in the contemporary market. Barenboim has serious competition with Sinopoli’s recent version and classic Meitsersingers from Jochum, Kempe, Karajan and Furtwangler. Lohengrin suits Barenboim’s romantic sensibilities quite naturally. Deborah Polaski is feverishly intense, but the rest of the cast ranges from good to adequate. The versions by Kempe and Solti are probably reference, but Barenboim’s holds his own in a depressingly sparse field. Buying one or two of these operas separately is going to cost as much, if not more than this complete collection. Perhaps, individually, some may not consider any of these as reference, but multiple interpretations are always desired and all here remain considerable achievements, despite a few quibbles which are, inevitably, minute. These are enthusiastic, astute interpretations in state of the art sound. This entry was posted in Music Reviews and tagged Daniel Barenboim, opera, Richard Wagner by Alfred Eaker. Bookmark the permalink.